A stand on skid steer loader has a multitude of benefits. Their size and weight makes them easy to transport; a range of attachments and flow rate gives them versatility for all sites and applications; and they are extremely operator friends thanks for high visibility and easy controls. the majority of the work he does is of a stop-start nature, meaning that the operator is frequently required to get off the machine. 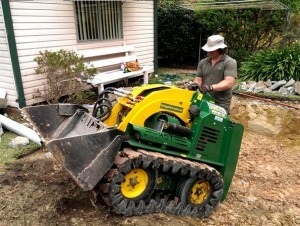 This is simple with a stand-on machine but would be extremely inconvenient with a Bobcat-type loader. As it turned out, Kanga came out on top. Simply put, the DT825 has absolutely no competitors! – I needed a machine that would handle restricted access areas but still be able to carry heavy loads and deal with any type of terrain. The DT825 is the only product on the market that met these requirements. Nothing else would be able to take what I throw at my 8 Series! Thanks to the capabilities of the DT825, Stefan’s business has grown rapidly. He now has an excavation subcontractor with whom he works closely and their machines complement each other exceptionally well. Stefan believes had he not made the decision to invest in the DT825, Kanga Ex would not be experiencing the success that it is having today! I would also like to add that the post-sales support I have received from Kanga has been great and a special mention goes to their local Service Technician. He provides exceptional service and is both friendly and extremely knowledgeable about all aspects of Kanga loader maintenance. I have total confidence that with Barry taking care of my machines, they’ll last for many years. 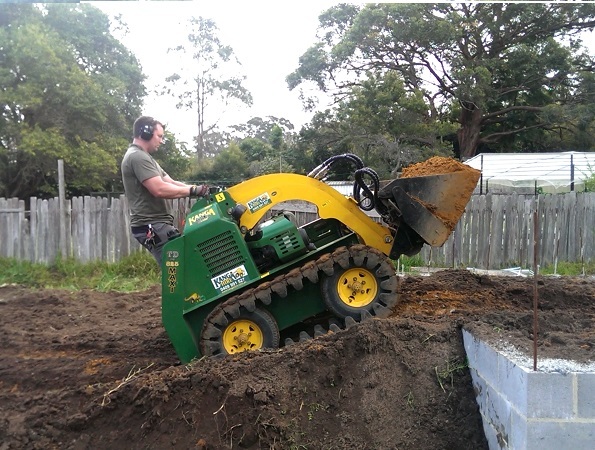 For more information on choosing a mini skid steer loader check, click here.